CNC explained that synthetic fields are fenced and available only to pre-booked sports groups, a stipulation that removes them from public access. Thus, this formerly open, grassed space ceases to be a public park. “Greenest City” indeed. There are already 11 synthetic sports fields in Vancouver, with more to come. 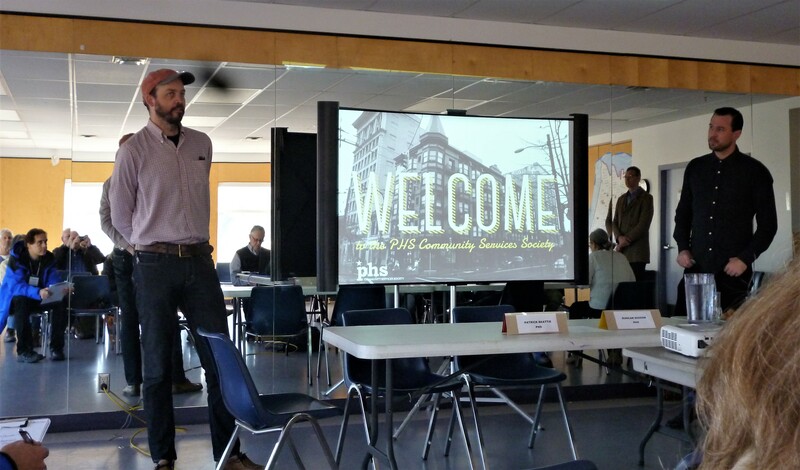 Many believe that “improving” existing parks without creating new ones in neighbourhoods slated for densification is a flawed use of resources. This all ties in, I believe, with CoV Planning’s push for “plazas”, “public squares” and similar unsatisfactory substitutes for real grass and dirt parks. Concrete and convenience (for them) substituting for fresh air and freedom. The proposal for the plaza at Commercial & Broadway — an expanse of concrete surmounted with noisy elevated Sky Train tracks (no expensive cut and cover subway for us, we are just Eastsiders after all) running almost continuously. Does that sound like a relaxing place to repose with your family for a while? We are starved of green space and we should insist that CoV Parks Board encourage the development of more genuine dirt and grass parks in Grandview and elsewhere in East Vancouver. 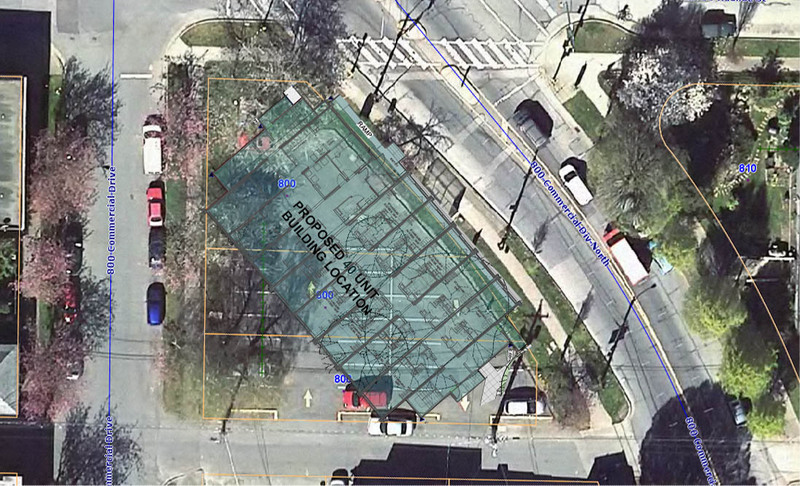 This is a reminder that a public hearing on the proposed redevelopment of 815-825 Commercial (and 1680 Adanac) is scheduled for 12th February at 6:00pm at City Hall. That’s tomorrow night. The proposal is for a 6-storey mixed use development with commercial at grade and 38 rental units above. There was an open house for the project last April after which I stated my support for most aspects of the design and the mix of apartments proposed. The notice from Vancouver Planning says quite specifically that the units will be “affordable”, but the development documents say they will be “market”. As we have seen in so many recent developments, City Planning seems to think that $2,200 is affordable for a one-bedroom apartment. I don’t, and I am sure that the 50% of Vancouver workers who get paid median incomes or lower will also disagree. If you have concerns or interest, please make yourself available to speak at the public hearing. 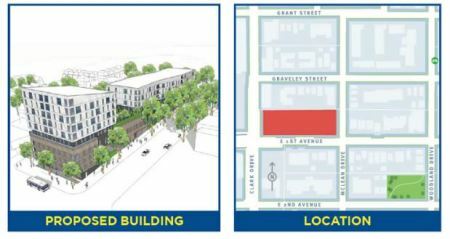 For about a year now I have reported on — and fully supported — a major development at Clark Drive and First Avenue (see here, here, and here). most importantly to me, it would supply about 100 truly affordable housing units at a point in time when we are facing a critical shortage of available units meeting that criteria. The press release issued on 16th February 2018 specifically stated that the residential part of the project “will serve low-to moderate-income people.” Now, a year later, we hear a different story. According to an article in the Georgia Strait this week, City staff have decided that there will be 90 housing units of which half will be rented at “private rental market rates for Vancouver”. And even with that, they still recommend that BC Housing be forgiven the $1.9m of development cost levies they should be paying. This puts a completely different perspective on the project for me, and I have to ask, why? There are literally thousands of market rental units in the pipeline already; what purpose would these 45 units serve. We don’t need them. But we do need what we were promised — a supply of genuinely affordable housing for the 50% of Vancouverites who are trying to survive on median or lower incomes. If our shiny new City Council approves the staff report as is, then one has to wonder if they have already fallen under the thrall of Vision’s private-sector-favouring staff as recent development approval decisions seem to suggest. They can still show some spine by rejecting this report and returning the entire project to its social housing roots. 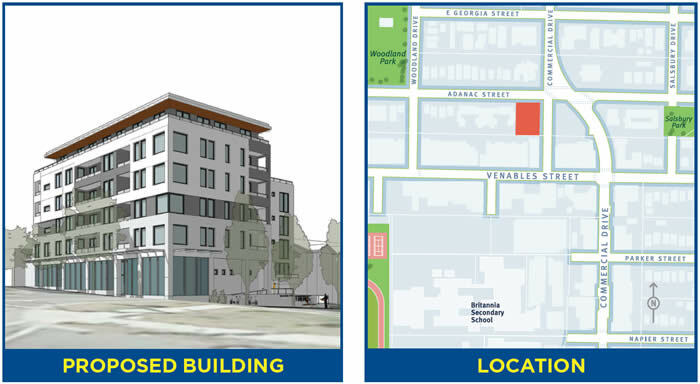 A public hearing on the proposed redevelopment of 815-825 Commercial (and 1680 Adanac) is scheduled for 12th February at 6:00pm at City Hall. You are currently browsing the archives for the Community Plan category.